What is a POS Inventory Software? Point of sale (POS) inventory system is a software that writes and records all the financial operations in your store. A bar code reader accounts for each item sold and when synchronized with your warehouse, it provides you with real time opportunity to manage the quantities available for sale and those who are already sold. The program can be installed in restaurants, salon, grocery store and almost any types of retail outlets that carries goods. 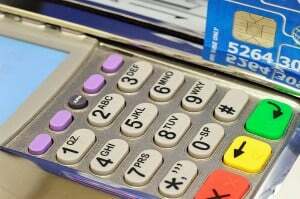 The system includes the following hardware – i) usually any personal computer and a barcode reader ii) credit card reader can be connected in order to optimize the payment options available for your customers iii) more sophisticated systems provide touchscreen panels, signature capture devices, weight scales and more. – Allows the easy exchange or returns of goods by customers as the initial sales has been recorded and inventory has been updated accordingly. – Implement royalty cards, discounts and bonuses as every customers can have their own client profile. What to look out for when choosing a POS inventory software? Selecting a user friendly and powerful program can be a very difficult task. When your business grows, your software need to have the necessary features to cater to the expansion too. That includes addition of new modules to increase the application’s features, continuous easy maintenance, timely support and close interface to the accounting records. The system also needs to have the ability to integrate certain business application combinations. It will be beneficial for you if all of the functions are managed by one and only software. One popular option in Singapore which allows POS integration is QuickBooks Online, with affordable monthly fee. It is easy to use and the mobile app version allows you to manage your business anytime and anywhere, saving you time.With the secure backup, you need not worry about the manual backup, making this a cost effective solution for you. In addition, there is no need for you to pay additional fee for updates or upgrades, as it is already included in the monthly fee. Our off the shelf program – MYOB, is among the most popular accounting and inventory software in Singapore, Australia and New Zealand and has won numerous business awards. With superior customer support, should you encounter issues after your purchase, help is just a quick phone call or email away. MYOB Premier Plus can integrate POS Features. MYOB Premier Plus also offers Powerful Accounting and Billing Features. The software caters to Multi Currency-Transactions, Multi-Users, Time-Based & Tracking and Payroll. If your business requires customised POS inventory software, we will have a non obligatory discussion with you to have a better understanding of your current process. We will recommend you the solutions catered to your business needs. Our customised solution includes online POS system and cloud based pos systems.